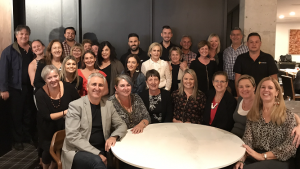 With 2018 rapidly drawing to a close, TravelManagers has completed their final series of state meetings for the year, bringing together personal travel managers (PTMs) from around the country in Brisbane, Sydney, Melbourne, Adelaide and Perth to mark the end of another successful year. 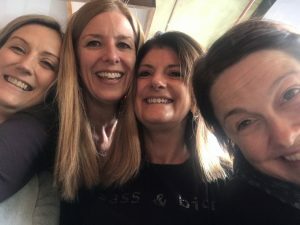 For Tasmania-based PTMs, the format was slightly different, with each PTM having a one-on-one catch-up with their Business Partnership Manager (BPM) during November, followed by a Christmas get-together. All five state meetings included updates from National Partnership Office (NPO) representatives, covering a range of subjects including famils, product training and marketing. They were also able to attend a ‘Fireside Chat’ with TravelManagers’ Executive team. 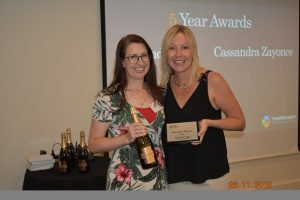 Cassandra Zayonce (left) accepting her 5 Year Award from NPO’s Suzanne Laister – one of 24 PTMs recognised at this year’s final round of State Meetings. 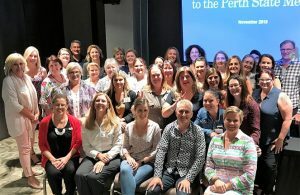 Grandi’s enthusiasm is shared by her fellow PTMs, including one of her newest colleagues, Hayley Morrison, who attended the Victoria state meeting in Melbourne in her capacity as representative for Swan Hill, VIC. 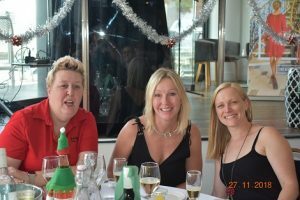 The Victoria, New South Wales and Queensland meetings were supplemented by optional, one-day cruise master-classes that were timed to coincide with the state meetings in order to maximise convenience for attendees. All five meetings were followed by Christmas functions which allowed attendees time to celebrate the conclusion of a successful year and mingle with their colleagues on a more informal basis. Executive General Manager, Michael Gazal, says the meetings were attended by more than twenty partner suppliers, along with a record number of PTMs. 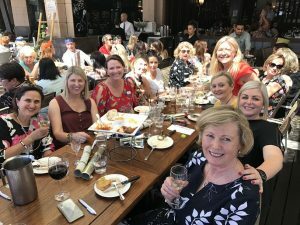 The newly re-opened historic Melbourne Hotel was the venue for TravelManagers’ Western Australia-based PTMs’ final State Meeting and Christmas buffet lunch. According to Gazal, the State Meetings also provided an opportunity to recognize and reward 24 PTMs across all states for achieving five years with TravelManagers. 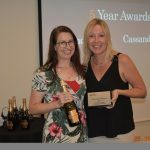 Sue Wright, who is TravelManagers’ representative for Shoal Point in northern Queensland, travelled more than 1300 kilometres to Brisbane for her state meeting.